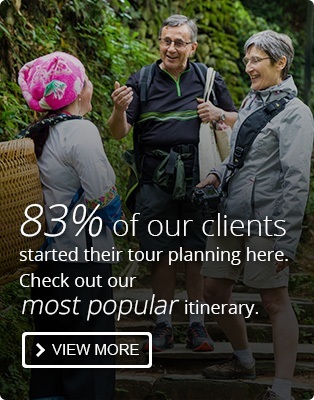 If you wanted to, you could spend the rest of your life touring around China and visiting popular sites that have appeared in popular films; both Chinese and International films. Much of China&apos;s countryside and landscape is so untouched that it provides the perfect backdrops for films, and adds that touch of magic and mystery that you can experience first-hand if you go visit these famous movie locations. Here is a compilation of our favorite TV and film destinations throughout China. One of the most popular, if not the most popular, Chinese film abroad offers some great Chinese scenery worth visiting when coming here on holiday. 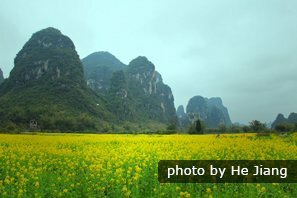 For example, a lot of the movie is filmed on Huangshan, Yellow Mountain, and its various sites (including Feicun Valley and JiuLong Waterfall) comprise one of the most popular tourist destinations throughout the country. The rocks and pines on the Yellow Mountain are also not far from UNESCO-recognised ancient traditional villages Xidi and Hongcun which offer a traditional atmosphere. China Highlights offers a three day tour covering all of these astonishing sites, so that you can see some of your favorite movie landscapes with your own eyes. Not only is the last emperor an important film in terms of understanding China&apos;s history, but some of the important locations and backdrops in the film are also beautiful and worth a visit in real life. The film gives a great account of life at Beijing&apos;s Forbidden City, while also capturing the beautiful grand palace in its historical and architectural glory. The Forbidden City is a must in any China trip, and watching The Last Emperor before your visit will enhance your experience. Click here to see the vast range of Beijing tours that we offer at China Highlights. There is so much to see throughout the city that it can take anywhere from a day to five days to catch everything you&apos;ve always wanted to see. Hero, the story of Jing Ke&apos;s assassination attempt of the Emperor of the Qin Dynasty in 227 BC has some great locations in it, and could be a tour of China in itself. For example, the scene with the sword fight on the water was filmed in Jiuzhaigou National Park, one of China&apos;s most beautiful national parks, located in Sichuan province. Jiuzhaogou National Park is a natural area mainly inhabited by Tibetan and Qiang ethnic minority families, and offers some of the most inspiring lake sceneries throughout the world. The desert backdrop used in Hero is Dunhuang&apos;s Gobi desert - a popular tourist destination and ancient town on the Silk Road where travelers from centuries ago have left behind beautiful mural paintings in the Buddhist caves and grottoes that so valuable that they are now under UNESCO protection. One way to fully experience this is to take our Silk Road Tour, which passes through Dunhuang as traders have done since the Han Dynasty. Inspired by Zhangjiajie National Forest Park in Hunan province, the sheer beauty of this park makes it a must visit for anyone who loves nature, or loved Avatar. Avatar takes the beautiful scenery and uses it as a backdrop for the film, but the National Forest Park itself is just as impressive. Zhangjiajie&apos;s administration is extremely proud of the influence they had on Avatar, with Avatar posters and Avatar memorabilia scattered throughout the park for photo opportunities. To find out more about our tours to Zhangjiajie, click here. The Painted Veil is about a British doctor fighting a cholera outbreak in a Chinese village while living with his unfaithful wife, and was filmed in Huangyao Ancient Town in Guangxi Zhuang Autonomous Region, on the lower side of the Li River, 200 km from Guilin. The scenery is beautiful, and watching this will definitely inspire a visit to the village, as it is one of the most beautiful ancient villages in China. To plan your visit to Huangyao Ancient Town, click here and contact someone at China Highlights about creating your own itinerary. The popular film &apos;The Kite Runner&apos;, based on the book by Afghan-American author Khaled Hosseini, was filmed in Kashgar, in China&apos;s Xinjiang Uyghur Autonomous Region. The Central Asian influence here is so strong here that the alleys in Kasghar&apos;s Old Town were central to Amir&apos;s story in the Kite Runner. The film received a lot of criticism from the Afghan government, and due to safety issues the film was unable to be produced there, with Kashgar the next best option. A visit to the region is filled with new and exciting experiences, as it really is the crossroads between China and Central Asia. The Nightingale, 2013, follows an old man and his grand-daughter walking together with a bird in a cage as they explore various challenges in their lives. 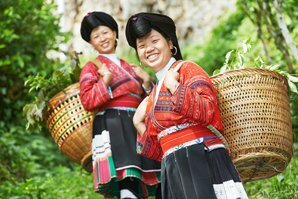 It is a great look at rural Chinese life, and some of the backdrops may inspire visiting the South of China. 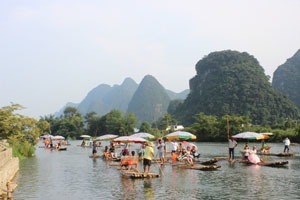 The mountains in the film are those in Guangxi province&apos;s Guilin, Yangshuo and Xingping Ancient Fishing Town. This area is a world-renowned tourist destination, and China Highlights runs a lot of local tours put together by travel experts that have grown up in the area. The film also covers Sanjiang Dong Autonomous County, which is in the north of Guangxi Zhuang Autonomous Region, traditionally inhabited by Dong minority people and 167 km from Guilin. 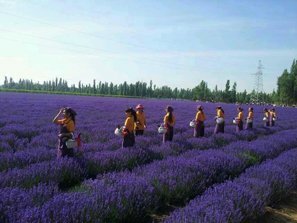 If you want to put together your own tour of the area, do not hesitate to contact us, just let your travel representative know where you would like to go on your customized tour of China. The final scenes of Mission Impossible 3 are set in Xitang Water Town, located close to Shanghai. The town is a complete escape from modern Chinese life, at only one and a half hours from Shanghai, but actually feeling like the other side of the world from Shanghai&apos;s bustling financial district. It is built on top of, and around, the canals that create the backbone and main arteries of the village. Although already a popular tourist destination due to its slow pace of life and beautiful alleys and canals, the village gained more fame following Tom Cruise&apos;s scene in Mission Impossible 3, where he runs through Xitang&apos;s alleys. Walking through Xitang you can see straight into the villagers&apos; homes, and see them go about their daily chores. The Mummy: The Tomb of the Dragon Emperor is about the curse that was put the Emperor Han centuries ago. When British explorer and his wife are invited to bring a relic to China, and meet their son who has discovered the tomb of Han, they are faced with this curse and having to deal with it. The entire storyline is filmed at Xi&apos;an&apos;s famous Terracotta Army, one of China&apos;s most popular tourist destinations. When visiting the Terracotta Army, the magic and mystery as inspired by the Mummy is maintained. China Highlights offers a lot of different tours combining the Terracotta Army with other amazing Xi&apos;an sites and Xi&apos;an city tours. Popular Chinese film Raise the Red Lantern was set in the 1920s and tells the story of a young woman who becomes a concubine of a wealthy man during the Warlord Era. It is famous for its opulent visuals and the setting - Pingyao Ancient City in Shanxi province. Pingyao is a popular tourist destination because it has retained excellent examples of Han, Ming and Qing dynasty features, both in its architecture and layout. China Highlights offers a range of tours to Pingyao, to help you make the most of your trip. 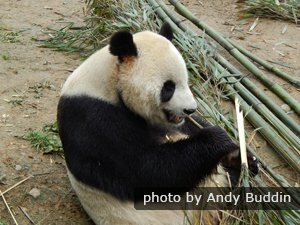 If you have already planned to take a trip to China, but want to be more prepared by watching more films, take a look at this list we have compiled. To further familiarise yourself with China, the history and culture, take a look at this list of books to read before you go to China. If this is your first time going to China, and all you know about it is from movies, take a look at the most famous cities in China to help you decide where to go and what to see.